Yesterday afternoon's project was to make fridge magnets out of old travel maps. Talk about an easy and quick project! Plus I got to use my brand new glue gun. It worked like a charm! 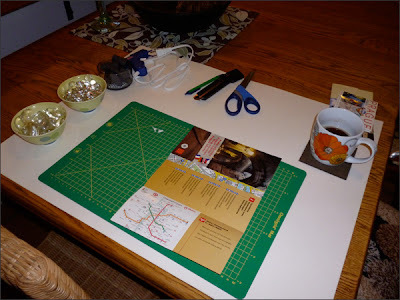 First step was getting set up - cutting board, scissors, X-Acto knife, coffee, etc. 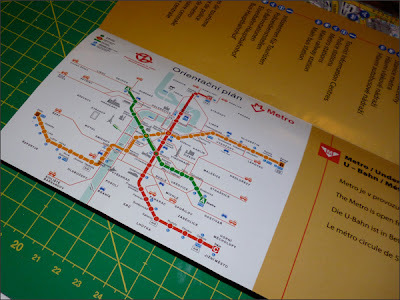 I decided to cut up the subway map. 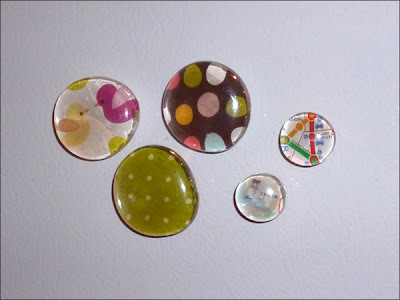 I used the small glass gems for the map fridge magnets. I traced an outline of the glass gem then cut out the shape. 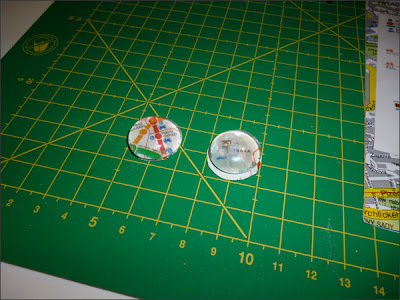 I then added glue to the glass gem. I used a modge podge type of glue. I'm sure white glue would work just as well. Once the glue was on, I added the cut out. Then trimmed the edges. 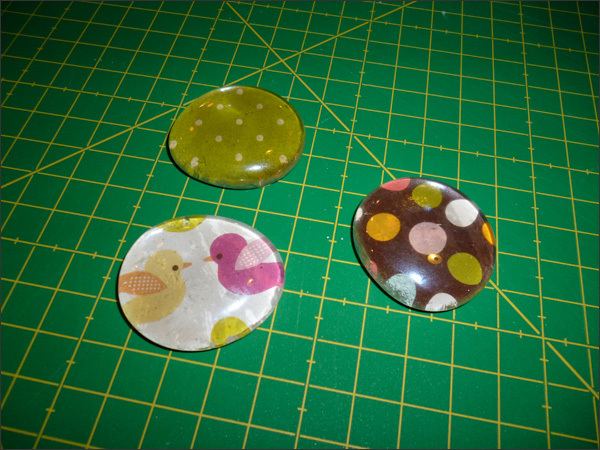 I used the larger glass gems for the paper from Michaels. I ended up trimming these with scissors and not my X-Acto knife. The X-Acto knife tore the paper a bit. Next step was plugging my glue gun in and adding the magnets to the back. You can see on the front fridge magnet that the paper got a bit torn from the X-Acto knife. The nice thing with this project is you can get away with less than perfect trimming. And here they are! 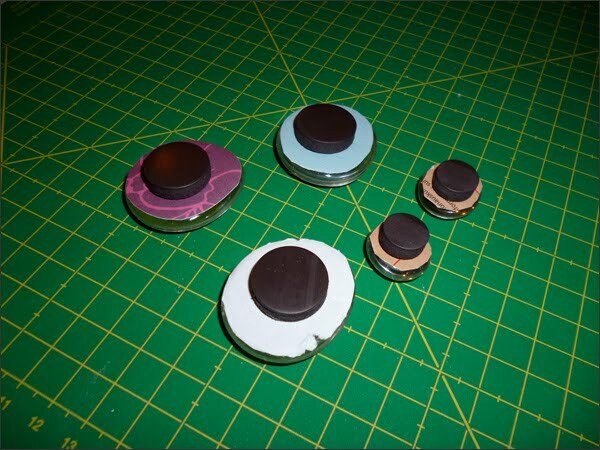 5 fridge magnets in no time! Gotta love that! 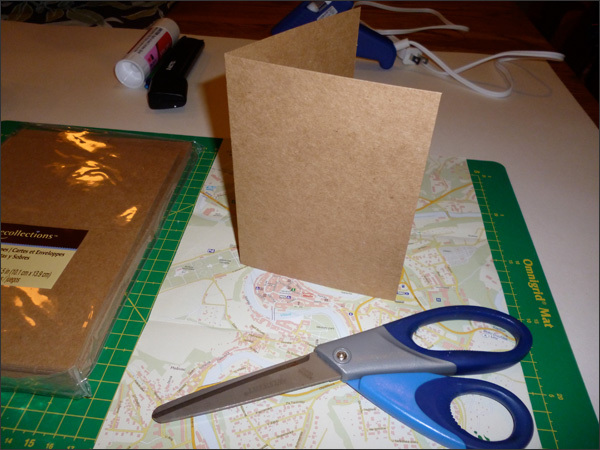 Next project will be customizing cards using old travel maps. I started on one but I may have to rethink how I want to create these.